Switching from one insurance company to another often is standard practice for some people, and it can save people money. Automobile insurance is a very competitive industry, and because of this, there is often incentive to shop around for a better deal than your current policy. Outside of things like pricing, you may decide that you want to switch car insurance providers because you are moving to a new state or have received poor customer service. If you decide to switch car insurance companies, there is essential information that you should know and check up on before you make the switch. Not all car insurance companies are created equal, many of them offer different things to reach different potential customers. Some of them provide roadside assistance that is included for all policies, and sometimes customers need to add roadside assistance on. That is one example, but there are many more. Sometimes getting the lowest rate on car insurance means that the policy does not cover as much as some of the more expensive plans. When you get new insurance quotes, it is essential to check up on customer service and make sure that the company you are looking at is top-notch. 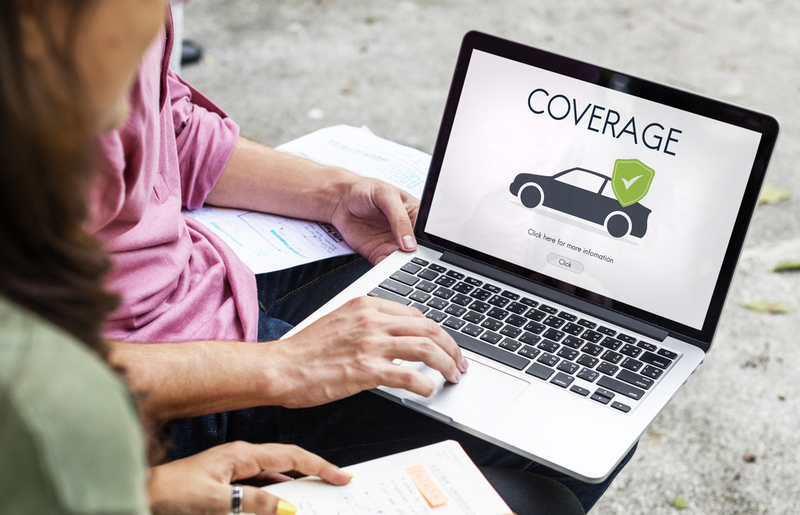 If you purchase a policy and end up needing to increase the coverage amounts after you buy, you may end up paying more overall. Car insurance companies allow you to choose the date for your policy to begin. This makes it possible to have a few days or more in which you are not covered by any car insurance policy if you are not careful. Make sure that your new plan begins before or right as your old one expires. Driving without insurance to help cover the cost of damages if a car accident happens is a bad idea, even if it is a small gap in coverage. Also, many states require drivers to provide proof of insurance if they are pulled over. Not having insurance can lead to a costly ticket. Another consideration to think about is whether or not insurance companies in your state give higher rates for people that have gaps in their coverage. Many insurance companies associate gaps, sometimes as little as 30 days or less, as a sign of higher risk drivers. Automobile insurance providers often look at someone's car insurance track record when determining a driver’s premiums. Many car insurance policies are set to renew when your plan ends automatically and utilize automatic payments. It is important to continue paying your bills until you cancel the policy, and there is most often no reason to be covered by two car insurance policies at the same time. Your automobile insurance provider will continue to send bills, and if you fail to make payments on them that could affect your credit score. In some states, your credit score can change how much you pay for car insurance. When people pay for a car insurance policy upfront, they are often eligible to get a refund for the auto insurance coverage that they do not use if their policy is canceled or they switch car insurance providers. A straightforward example of this is people that have paid for a full six months of automobile insurance in advance. When they prepay for car insurance, they can save a lot of money in the process. If they paid for a six-month policy and decided to switch insurance companies after three months, their insurance provider should reimburse them for the unused premium, in this case, three months’ worth. Sometimes car insurance companies have cancellation fees, which are taken out of what they owe you. It is best to reach out about your refund in the day or two after you change or cancel your policy in order to expedite receipt of what you are owed. Most insurance companies give their customers the refunds with no fuss at all. Regardless of whether you are switching car insurance companies or not, it is essential to keep up to date insurance ID cards on you whenever you are driving. This is something that many people forget to do, even when they have a policy renewal with the same company they are with. Ant time you switch insurers, you will also want to make sure you have a copy of the most up to date insurance ID cards on you. If you are in an automobile accident or pulled over by the police, they will want to see your insurance and make sure that insurance policy numbers are exchanged in case claims need to be made. Drivers who are operating a vehicle without valid proof of insurance can face tickets, fines, or even a trip to court. All of these things can take up valuable time and money. Companies that lease vehicles often require a minimum amount of insurance coverage in the terms of the lease. The company is also named on your insurance policy as a loss payee. This means the company may be entitled to a portion of your claim payment to cover any balance your lease may have if your auto gets totaled. Due to this, it is critical for your lessor to be aware of any changes in your policy or insurance company. Your new car insurance provider can send proof of insurance to your leasing company if you request it. Sometimes, after searching for less expensive options, your old insurance provider will look into cutting you a deal to get you a comparable policy at the same rate or better. If you like the insurance provider you already have, it doesn't hurt to try. While it is not guaranteed that they can give you a better rate, the call is worth the time. People change auto insurance companies fairly often on average. Staying with the same company can score you discounts after a certain period of time. People's driving records are continually changing, which means different companies may provide a better deal over time. Add in that car insurance companies are looking at different variables from each other, and weighing them in different ways, shopping around and looking for the best policy to suit your needs at the best price is simply intelligent behavior. What Are the Best Car Insurance Companies?